Teak wood is one among most durable wood available. 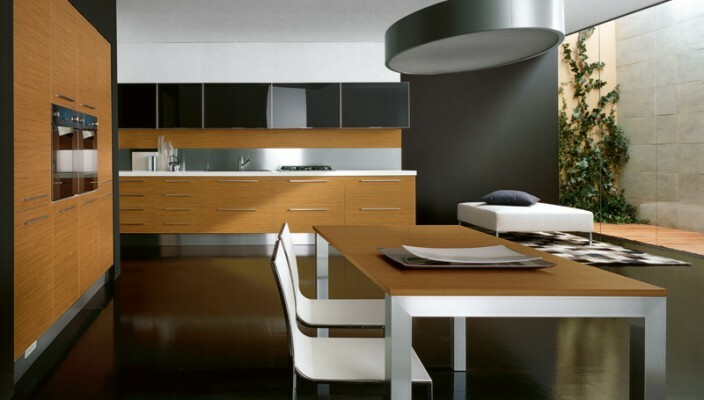 Grain is usually light; this wood does not soak moisture very easily and is available like a veneer or solid wood. People consider cabinets made out of teak as top-of-the-line. Teak has well-deserved reputation for being one of finest woods for use in flooring and furniture since you can maintain it very easily. Teak wood comprises of oil more than most of hardwoods, which help wood to resist moisture. Oil runs through wood and veneers contain oil. Trees also comprise of rubber, increasing wood’s water resistance. Teak has dark brown natural color with some gold streaks inside it and grain is straight fairly. Knots in teak are infrequent and wood resists burrowing insects and termites. Fingerprints, grease and oil can be easily removed from teak cabinets since the grain of teak is very light; even spills of liquid can easily be wiped away.